Porous silicon is rapidly attracting increasing interest from various fields, including optoelectronics, microelectronics, photonics, medicine, chemistry, and biosensing. This nanostructured and biodegradable material has a range of unique properties that make it ideal for many applications. For example, the pores and surface chemistry of the material can be manipulated to change the rate of drug release from hours to months. 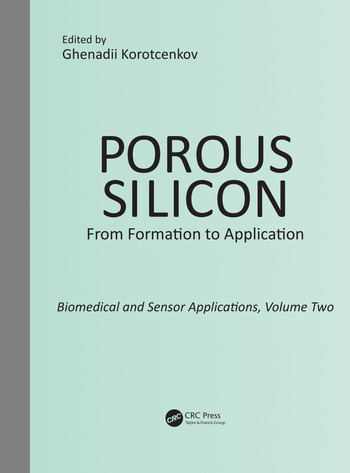 Porous Silicon: Biomedical and Sensor Applications, Volume Two is part of the three-book series Porous Silicon: From Formation to Application. 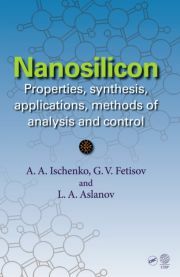 It discusses applications of porous silicon in bioengineering and in various sensors, including gas sensors, biosensors, pressure sensors, mechanical sensors, optical sensors, and many other types. It also thoroughly reviews the fabrication, parameters, and applications of devices that use porous silicon. Representing the most recent progress in applications of porous silicon to biomedical and sensory technology, this reference is indispensable for those involved in the research, development, and application of porous silicon in several scientific disciplines. It also serves as a starting point for the interested but unfamiliar reader to gain a thorough understanding of the unusual properties of porous silicon, other porous materials, and possible areas for current and future applications.